TME’s offer has been enriched by new LRS series PSUs from MEAN WELL. LRS is the latest version of popular industrial RS series PSUs. The new PSUs are smaller (in comparison to the RS series), and offer noticeably better parameters. The height of the LRS power supplies is only 30 mm, while their efficiency reaches as much as 91%. The LRS power supplies comply with global energy consumption standards. Energy consumption at zero load is less than 0.3W. Similarly to their predecessors, LRS power supplies provide output wattage of 35, 50, 75, 100, and 150W, they feature short circuit, overcurrent and overvoltage protection, and offer broad range of operating temperature (from -30 to +70°C). The MTBF (Mean Time Between Failures) factor is also higher, which makes the LRS power supplies even more reliable. 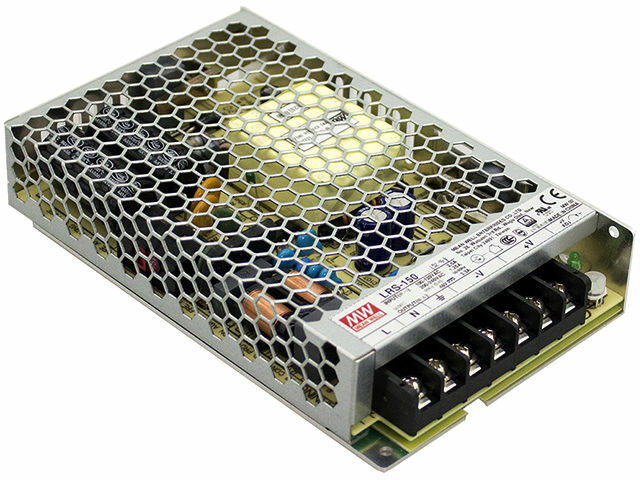 We encourage you to check out the LRS power supplies in our offer.